WE ARE THE CREATORS OF THE PAST AND THE PRESENT. 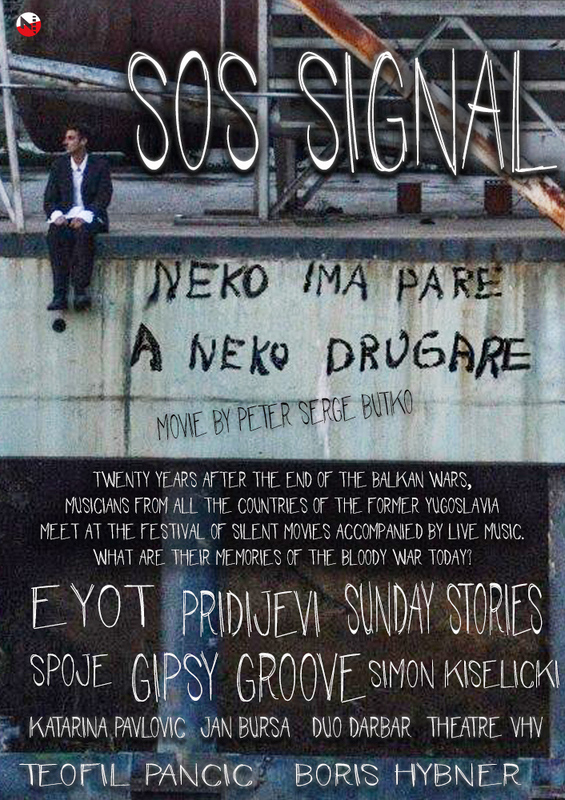 At the beginning of the film SOS SIGNAL, an eminent Serbian journalist Teofil Pančić states some historical facts. He reveals what was going on when the war was started, what happened and how it escalated in a way that it became unstoppable. Further participants are the representatives of the music bands which perform during the festival. They talk about how they perceived the war back then, how they perceive it nowadays and how the residents of former Yugoslav republics feel about it now. We find out about these musicians` authentic feelings, how they perceive the past and about their visions for the future. This film contains the scenes of their performances, scenes from the film workshop, but also clips from the films which were produced during the workshop. It has an attractive form of a music festival document. The guide is Boris Hybner. He is a spectator, a listener and a clown.